Braun Strowman. 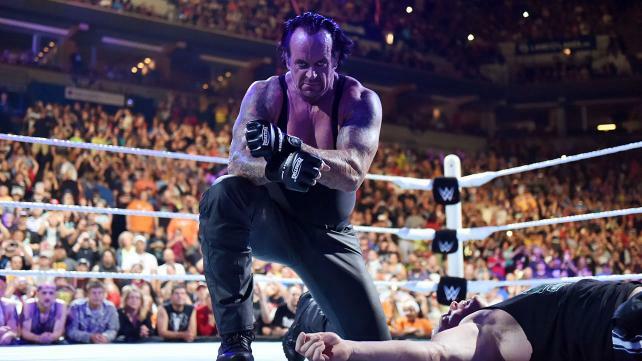 That‘s their plan for The Undertaker at Wrestlemania XXXII? It’s supposed to be the highest attended Wrestlemania of all time, in ‘Taker’s home state no less, and they’re putting him with Braun Strowman. 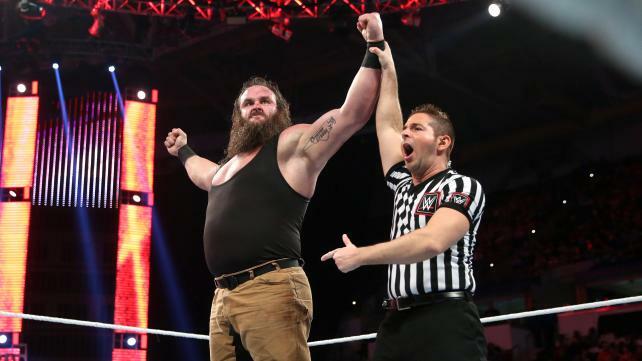 He (allegedly) went from being pencilled in with Brock Lesnar, to John Cena…to Braun Strowman? This is wrong for a variety of reasons. While he’s been put over as a monster since his debut, Braun Strowman is still relatively green, and not ready, or qualified to be in a match of this magnitude. Also, given time and experience, Strowman could indeed be a money opponent for ‘Taker. They’d be shooting their wad too soon by putting them together here. Hell, they need to build up not only Strowman, but The Wyatt Family in general. Also, Brock Lesnar is apparently facing Bray Wyatt at Wrestlemania. With Braun Strowman, they’d essentially be giving Undertaker one of Bray’s henchmen, while Brock takes on the big dog. But mores than anything else, even with so many marquee stars on the injured list right now (Cena, Randy Orton, Sting, Seth Rollins), there are so many wrestlers better suited to face The Undertaker than Braun Strowman. Cast in point, the five names I’ve assembled. Obviously, none of these men have the marquee value of a Brock Lesnar or a John Cena. But let’s go into this under the assumption that the allure of this match is seeing The Undertaker in action at Wrestlemania, and we’re simply trying to give the fans a match worth their money. I don’t think Braun Strowman can do that. But these five can. Assuming we must go to The Wyatt Family for an Undertaker opponent, we need to pick a different Wyatt. 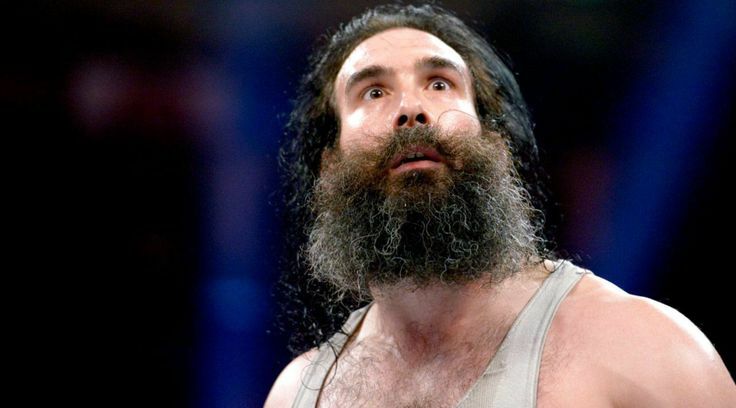 Luke Harper has over a decade of experience under his belt. Yes, we still have the issue of ‘Taker facing one of Bray Wyatt’s henchmen. But it was Harper who was pinned by Undertaker in the tag match at Survivor Series. Who’s to say Harper, looking to bring glory to The Wyatt Family, doesn’t strike out on his own in the hope of ending The Undertaker’s legacy once and or all. WWE has tried to break Harper out as a singles star before. As it turned out, they jumped the gun, and ultimately ended up putting The Wyatt Family back together. I’m certainly not advocating breaking the Wyatts up again, but a program like this could help Harper establish a persona of his own. Thus, if/when he does break out on his own again, it could mean more. Plus, he’d give ‘Taker a solid match. Joe’s in-ring skills speak for themselves. This would simply be a matter of getting him on television and ready for The Undertaker. The Royal Rumble would have been a great opportunity, but that ship has sailed. If this is the direction they’re inclined to go in, I say bring up up at Fastlane, and simply say he’s come to take out the best WWE has to offer (or something like that). Bing bang boom, instant Undertaker match It’s not the most convenient option from a storytelling standpoint, but it would make for a hell of a Wrestlemania match, and add a strong heel to the main roster. 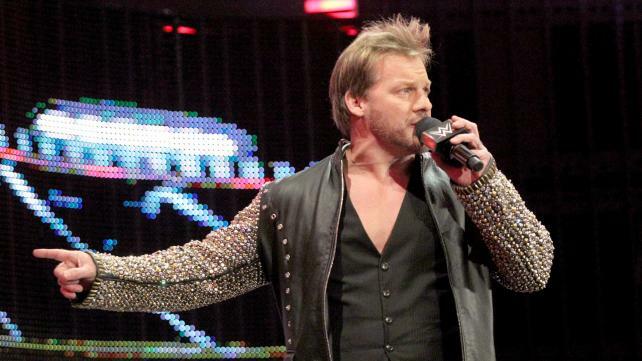 Jericho’s heel run in 2008 was the stuff of legends, and in a company currently devoid of hot heels, an evil Chris Jericho could reap more benefits than ever for WWE. And who better to put him with at Wrestlemania XXXII in Texas than The Undertaker? For a heel Chris Jericho, a program with The Undertaker would be all about ego. Jericho has never had a Wrestlemania match with the Dead Man. Ergo, in his mind, The Undertaker has been disrespecting him for years by never standing across from him at Wrestlemania. A challenge is laid down, and ‘Taker accepts. From there, it’s all about the promos. And in terms of the match, Jericho could potentially help ‘Taker give a performance league with his bouts with Shawn Michaels, Triple H, and CM Punk. So what do they have to lose by having The Undertaker kick the crap out of him at Wrestlemania? He might even establish some credibility along the way. 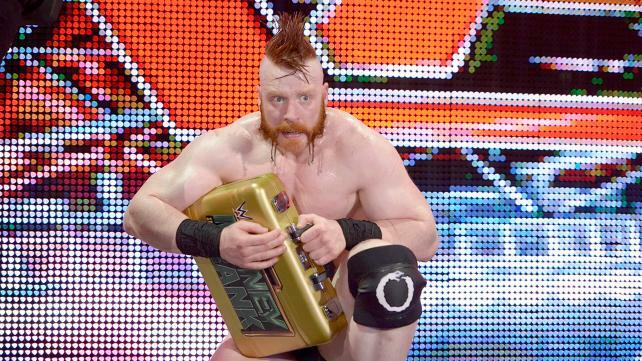 Sheamus was an annoying braggart during his brief run with the title last year. He’d be able to draw plenty of ire by challenging The Undertaker in an attempt to redeem himself after his failure as champion. And if we needed them, the League of Nations could be involved at ringside. Supposedly, Sheamus is currently sidelined with tendonitis in his arm. But I’d wager we’d be able to get him back for at least one big match. And it doesn’t get any bigger than The Undertaker at Wrestlemania. The Phenom vs. The Phenomenal One. AJ might not have been our first choice for The Undertaker’s Wrestlemania opponent. But he might be the one we need right now. 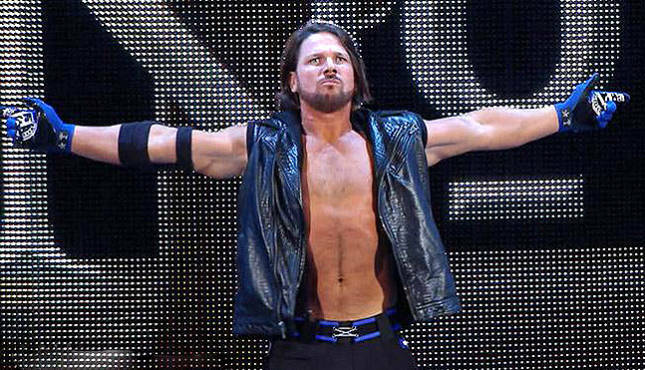 To their credit, WWE is making a big deal out of AJ Styles. They played him up on their website before he showed up at the Rumble, reacted appropriately when he made his debut, and then let him show off in a match with Chris Jericho the following night on Raw. 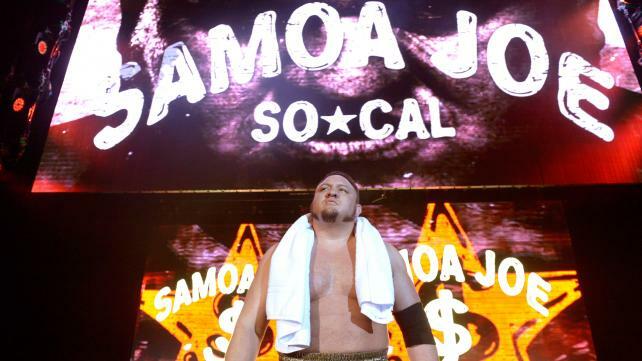 WWE needs new stars, and they seem to recognize one in the making. And what better way to indicate that AJ Styles is a must-see superstar than putting him in the ring with another must-see superstar at the biggest event of the year? The story more or less writes itself. AJ wants to take full advantage of signing with WWE by doing something he can only do in WWE: Facing The Undertaker at Wrestlemania. He’s certainly got momentum on his side, and he may only get hotter as we go through Fastlane. And Styles, like Jericho, is one of the few wrestlers in that company capable of giving ‘Taker one more Wrestlemania show-stealer. This entry was posted in Wrestling and tagged AJ Styles, Braun Strowman, Bray Wyatt, Chris Jericho, Luke Harper, NXT, pro wrestling, professional wrestling, Samoa Joe, Sheamus, The Undertaker, The Undertaker vs. Braun Strowman, The Wyatt Family, Wrestlemania XXXII, WWE, WWE Royal Rumble 2016 on 01/30/2016 by primaryignition.